Mikumi National Park is located next to the northern border of Selous Game Reserve the largest wildlife reserve on the African continent, and it is tran-sected by a surfaced-road connecting Dar es Salaam with Iringa in Tanzania. 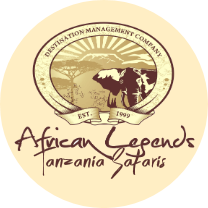 Hence, this is the most easily reached section of the 75,000 square kilometer stretch of wilderness that extends east to as far as the huge Indian Ocean, making it an ideal place to visit especially for tourists taking their very first safari in Tanzania. Mikumi was gazetted as a National Park back in 1964 in the month of August, and it is the fourth (4th) largest wildlife park in the country covering 3230 square kilometers. It was named after a village located just past its western border along the Dar es Salaam – Iringa Highway. The Mikumi contains a wide variety of wildlife habitats that include: the Miombo woodlands, swamps, open grasslands as well as riverine forests which make it an important place to observe on-going biological as well as ecological processes. The broad Mkata floodplain is a perfect place to see lions as they idly survey the large herds of buffaloes, zebras, wildebeests, as well as impalas that wander across the grasslands. Within the shades of the Acacia trees you will see large elephants, while the enormous hippos will be wallowing in the pools found near the park entrance gate. Something that is unique about this park is that it has a very large population of elands, and also here you will have a chance to see the African Wild Dogs (a rare species to encounter today). Another thing worth mentioning is the rich bird life that the park possesses that includes more than 400 different bird species, so on your visit here, you definitely won’t fail to spot a number of bird species which make it a birding Paradise. Furthermore, Mikumi offers a great family experience, as it has a number of spot where holidaymakers can get up-close with different wildlife, an activity that is very appealing for both the adults and children. Because of its proximity to the equator, the climate within Mikumi differs from warm to hot while its humid has a very minimal change. Nothing like the parks in the north, the nights here are warm all throughout the year. October to March are the warmest months while June, July and August are the coolest months. The park elevations greatly differ with the lowest being 201 meters to 1,143 meters to 659 meters to 3,750. For every 1000 meters, the temperatures drop by approximately 6.5°C. Most tourists will access only the lower altitudes of the park. Unlike the northern parks as well as those found along the coast which experience two, Mikumi National Park experiences only one wet season which runs from November to May, and it is characterized by daily rains that normally fall in the afternoon. The dry season begins in June to October and at the time the plains are swarmed with numerous animals including very large herds of elephants plus different types of antelopes. The animals normally converge around the water holes where they drink some water. The park can be accessed either by road or by charter flight. 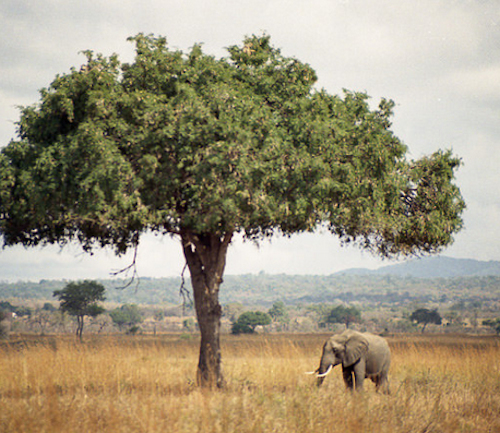 When using road transport, there is a good surfaced road that connects Mikumi national park to Dar es Salaam through Morogoro, and it’s approximately a four (4) hour drive. There are also connections from the Selous, Udzungwa and Ruaha by road to Mikumi. There are also local buses that connect from Dar Es Salaam to the Park headquarters where you can organize your game drive.